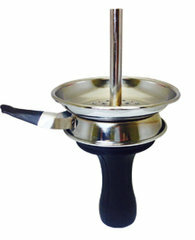 SouthSmoke.com provides a variety of Hookah Accessories to enhance your smoking experience. 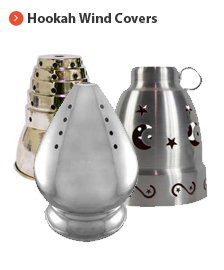 Whether your searching for a replacement part, or just interested in adding to your Hookah Collection, we offer every type of Hookah Accessory available on the market. Hookah accessories can help you have a more convenient, relaxing smoke session, so you can focus less on managing your experience and more on having a great time! 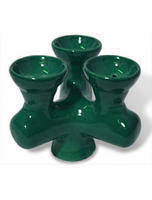 Browse our hookah accessories to build your ideal hookah setup. 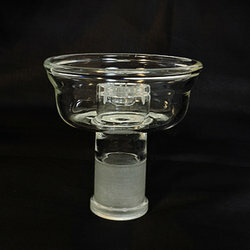 We have a premium selection of hookah bowls, hoses, trays, vases, filters, burners, and cleaning supplies. 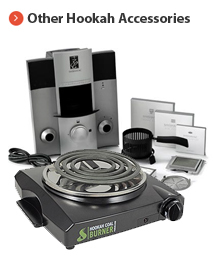 Everything you need for a memorable and amazing time is available right here at SouthSmoke.com! 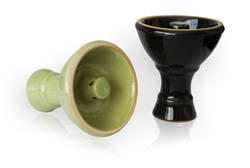 Some hookah parts and accessories can become worn or dirty over time. 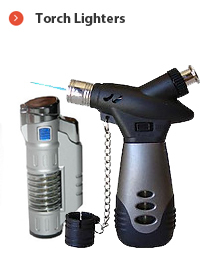 If you?re like us and enjoy smoking hookah on a regular basis, you?ve got to make sure your hookah and hookah accessories are in good condition. 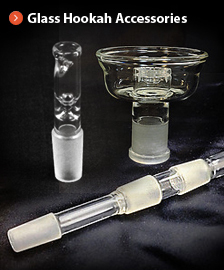 We offer all the accessories and replacement parts you need for great smoke sessions all the time. 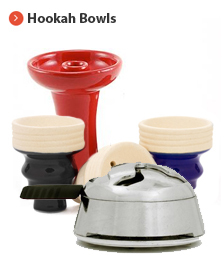 We distribute only the highest quality hookah accessories. 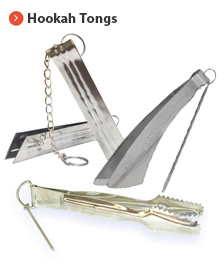 From durable hookah bowls to top-quality metal trays, these items ensure long-lasting enjoyment for years to come. 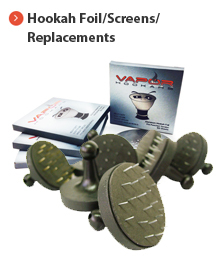 Replace them as needed or configure a brand new hookah set up for a fresh experience. 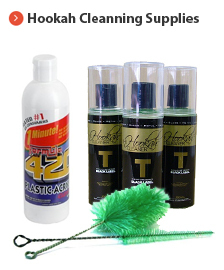 Or if you?re up to using a little elbow grease, our cleaning supplies include convenient cleaning solutions and brushes to help you regularly maintain your hookah for absolute best results with your favorite hookah. Need help making big smoke clouds? 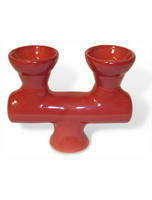 You can easily impress hookah vets and newcomers alike with the help of our hookah accessories. 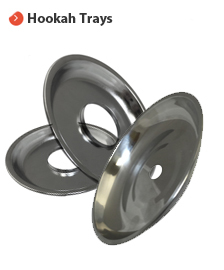 We have just the right size of hookah tray for you to pack your hookah charcoal and get the ideal air flow. 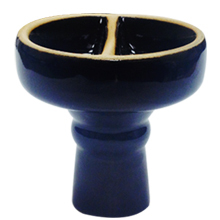 You?ll be making enormous clouds with the help of one of our phunnel hookah bowls, specially designed to support the creation of big smoke clouds. With SouthSmoke.com, hookah smoking doesn?t have to cost a fortune. You can set up your own hookah bar right at home with our one-stop hookah shop. We offer everything you need at a range of price points to get you the perfect smoke session. 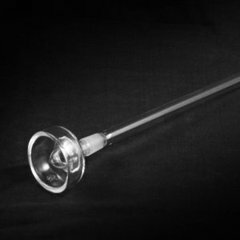 If you have to have the very best in the hookah world, SouthSmoke.com has you covered. 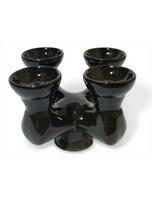 We offer you premium hookah parts and accessories for your high-end hookahs. 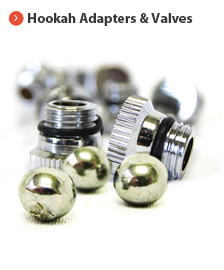 From ball bearings and pressure release valves to stem adapters for your cherished Vapor hookah, you can find parts for the world?s top hookah brands right here at SouthSmoke.com. On a budget? Not a problem?we have affordable solutions for your hookah needs. With parts that fit any style of hookah to discounted prices on top-selling items, we work with you to make sure nothing stops you from smoking hookah when you want. 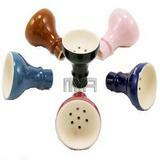 We also offer hookah accessories wholesale. Sign up for a hookah wholesale account and distribute your own high quality hookah parts and accessories today! 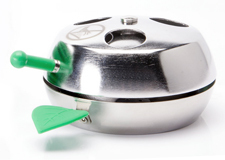 We offer a range of high-tech hookah accessories that can make your smoke session more convenient and fun. 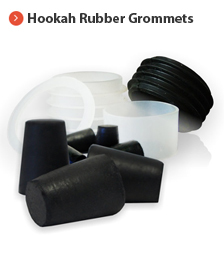 A wide range of heat management systems offer you a way to regulate and better manage your coals? heat. 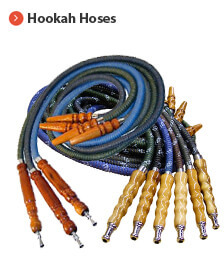 These can definitely get you on the way to faster and more frequent hookah smoke sessions! 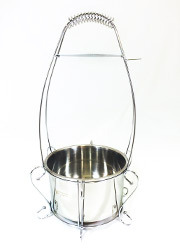 Infrared charcoal burners revolutionize the way you light your coals, making for a speedier, more efficient smoke session. 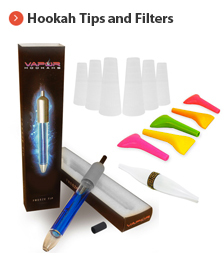 You can even add extra fun and flavor to your next hookah party. 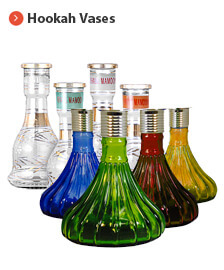 And LED hookah lights set can illuminate your hookah vase in a way that is safe and totally fun.